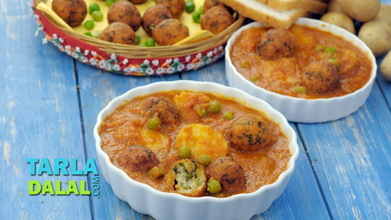 Low-cal Paneer Palak Kofta in Makhani Gravy, anyone? 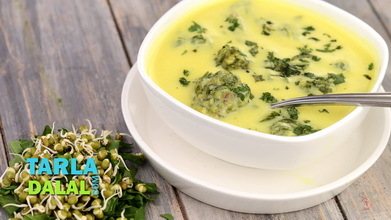 The weight-watcher is usually terrified of words like paneer and makhani, but here is a low-cal version of this popular North Indian dish specially formulated to please food lovers without adding to their waistline. 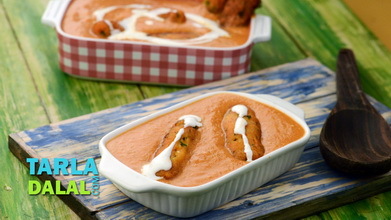 The innovative twist here is the use of red pumpkin and low-fat milk to impart a creamy and thick mouth-feel, very close to authentic makhani fare, without using any butter or cream. 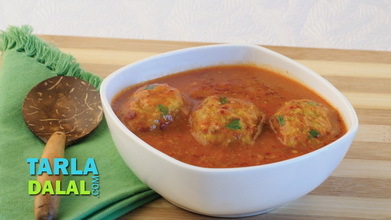 The koftas are also steamed instead of deep-fried. 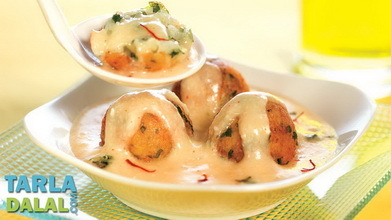 Divide the mixture into 12 equal portions and shape each portion into even sized round balls. 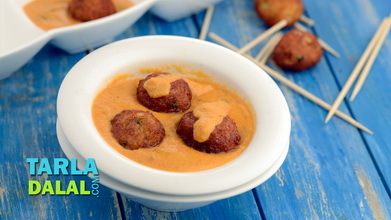 Steam the koftas in a steamer for 4 to 5 minutes. Keep aside to cool slightly. Combine the tomatoes, onions, garlic, ginger, cinnamon, cloves, red pumpkin and ¾ cup of water in a deep non-stick pan, mix well and cook on a medium flame for 8 to 10 minutes or till the vegetables are soft. Remove the cinnamon and cloves and discard them. Keep the mixture aside to cool slightly and blend it in a mixer to a smooth mixture. When the seeds crackle, add the chilli powder and dried fenugreek leaves and sauté on a medium flame for a few seconds. Add the tomato-onion mixture, sugar and salt, mix well and cook on a medium flame for 1 to 2 minutes, while stirring occasionally. Dissolve the cornflour in the milk, add it to the gravy and mix well. Cook on a medium flame for another 1 to 2 minutes, while stirring continuously. Keep aside. 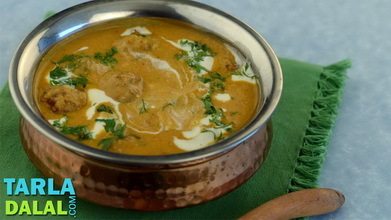 Just before serving, add the paneer palak koftas to the hot makhani gravy, mix gently and cook on a medium flame for 1 minute. 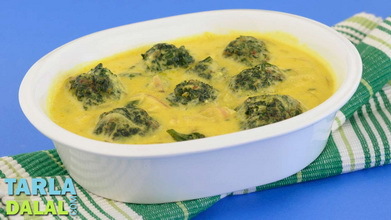 2½ cups chopped spinach gives you ½ cup of blanched and chopped spinach. 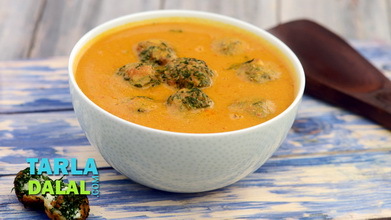 Squeeze out all the water from the blanched spinach to make koftas.